How does your garden grow? 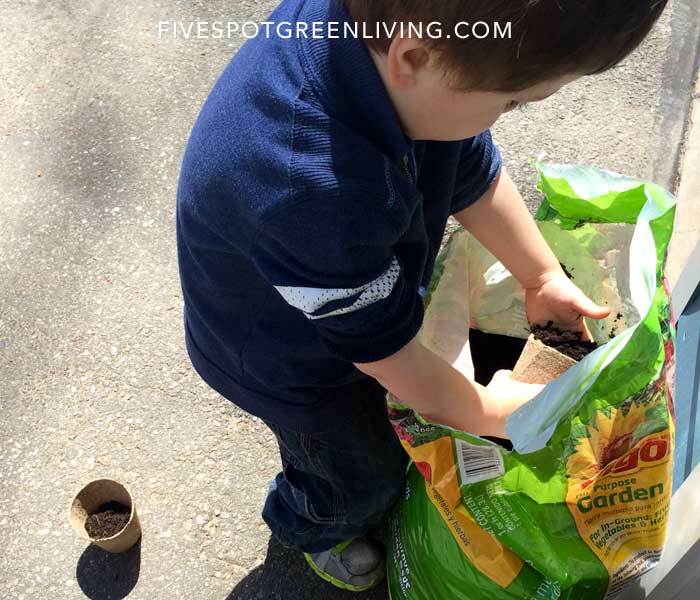 Celebrate Earth Day with a family vegetable gardening project. We started our vegetable garden using High Mowing Organic Seeds in compostable seedling pots this weekend! I can’t wait to see how the plants grow – this is my first year growing real a vegetable garden! I usually stick to growing herb indoors and in the warm summer months, I move them outside. I do have some herbs in the ground and some flowers but I’ve never planted anything in a vegetable garden. 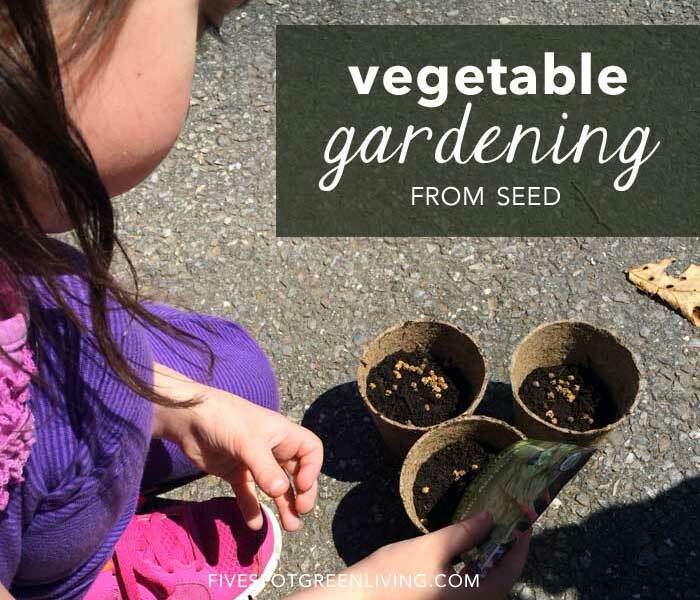 I was fortunate to get my seeds from High Mowing Seeds to teach my kids about environmental responsibility through planting organic seeds for vegetable gardening at home. High Mowing Organic Seeds donated over 100,000 seed packets through our Seed Donation Program in 2011! Through their donation program, they can support organizations that provide farm and nutrition education with programs such as community gardens, school gardens, church gardens, food bank gardens, summer camps, and disaster relief groups. This image makes me think of Peppa Pig and her vegetable garden – listed here in this list of Earth Day books for kids. 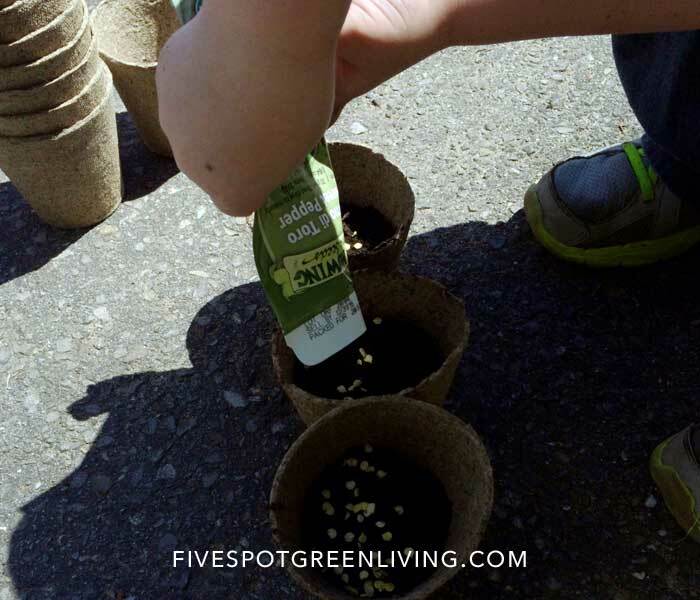 It’s such a great way for kids to learn about planting seeds. Chard (Beta vulgaris) is a hardy biennial in the Chenopodiacea family, which includes spinach, beets, orach and quinoa. Chard is actually a type of beet that has been specialized for leaf production. The best growing area for chard is full sun to light shade. Sweet peppers (Capsicum annuum) are long-season, heat-loving annuals in the Solanaceae family which includes eggplants, tomatoes, tomatillos, potatoes and ground cherries. Peppers prefer light, well drained, moderately fertile soil with pH 6.5-6.8. Use a high phosphorus starter fertilizer when transplanting to give young peppers a good start. Keep nitrogen levels in moderation, as high amounts can reduce yields. Regardless of what pot you use, you’ll need seeding mix. We didn’t have seeding mix and just used garden soil. Hopefully it works! Put two or three seeds in each cell – that way you’re guaranteed at least one plant will grow. Cover the seeds up with dirt. 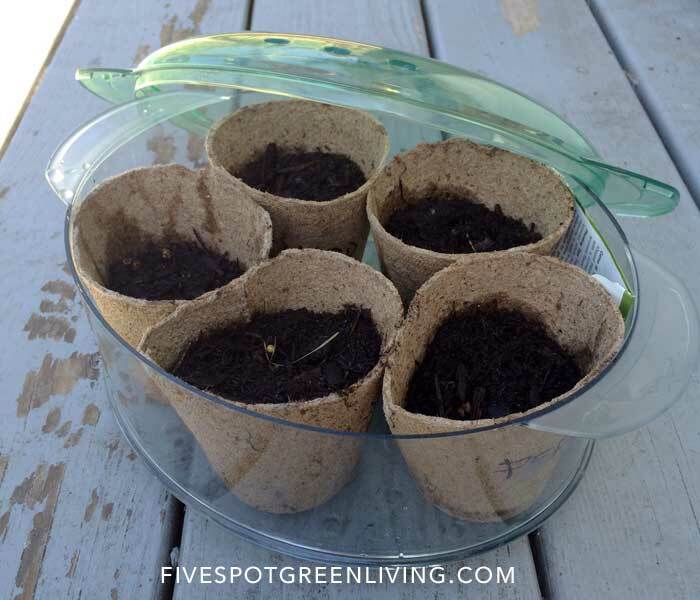 Find some plastic recycling containers to make homemade greenhouses like in this post. I upcycled an old steamer container which is a perfect greenhouse! I also used some old plastic bottles to cover individual plants. Covering the plants help create heat and the necessary humidity for the seeds to germinate. As soon as your seeds sprout, remove the lid. Once your plants start growing, rotate the tray so the plants don’t get a chance to lean towards the light. Once the plants are established and you can see they’ve developed a good root system, repot them into individual pots, and then in the ground when they are large. Are you doing any vegetable gardening this year? 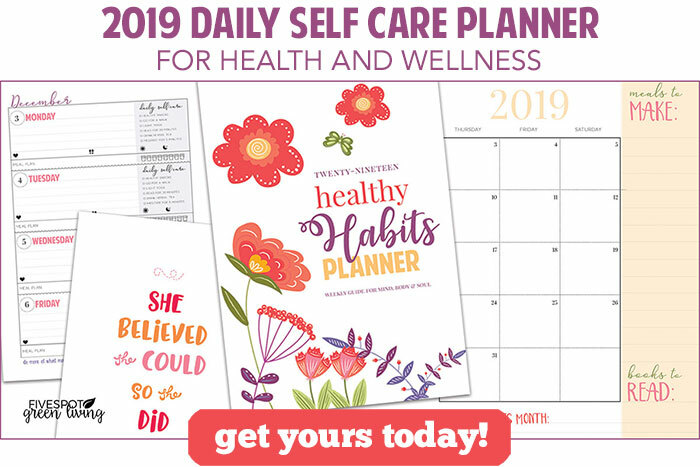 Check out the complete listing of gardening posts here to get you started!